On a scale of 1 to 10, with 1 being “hate” and 10 being “love,” how do you feel about beans? 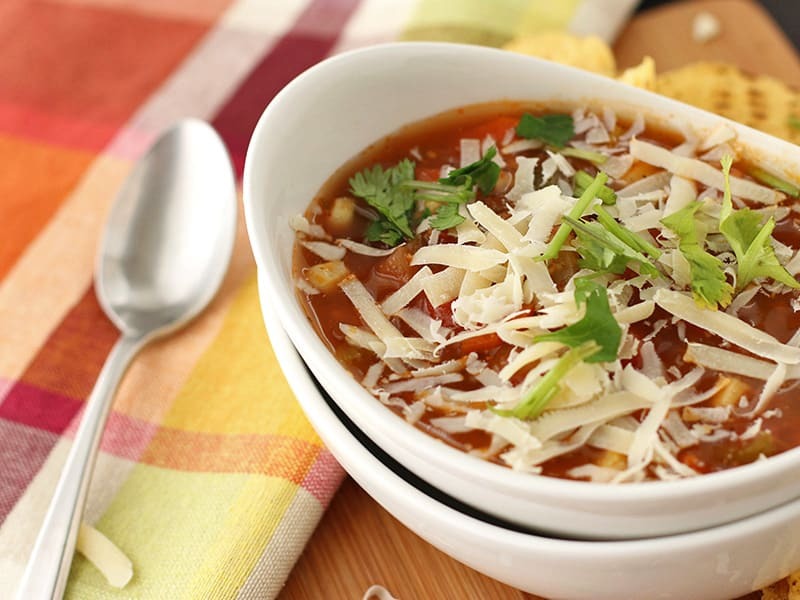 Second question… How do you feel about tortilla soup? When Facebook fans were asked this question over the weekend, the results were undoubtedly clear: you either love them, or hate them. When I was a kid, I was a 1. I hated everything there was to dislike about beans. The taste, the smell, the idea, the word. Wouldn’t touch them with a 20 foot pole. It took 15 years to warm up to a level 5. In high school I spent every Sunday waiting tables at a small Mexican restaurant in our town. If we worked seven hours, employees could have lunch for free, as long as they chose a meal from a certain section of the menu. Ritualistic of most Mexican restaurants, each available meal came with refried beans. As a hungry and poor teenager with a car payment, I learned to tolerate refried beans. Whole beans, on the other hand, you couldn’t PAY me to eat them. I wasn’t that poor and hungry. Here we are another 15 years (plus a few) later and beans are now one of my favorite foods. I love that they’re frugal – as little as 15¢ per cup when you start with dry beans. They’re INCREDIBLY nutritious. 8g of protein per half cup, rich in soluble fiber (like oatmeal) and filled with all the various nutrients that most of us don’t get enough of (like copper, phosphorus, manganese and magnesium). Mastering canned beans is a cinch too. No cooking experience required. Open, dump, heat, serve. Mastering dry beans however leans to the tricky side. And despite making them consistently for a few months now, they’re still slightly tough in my minestrone soup. They bubbled happily in the slow cooker for several hours and shortly before lunch, the immersion blender turns the pot into the smoothest bean puree my eyes had ever seen. Lunch was assembled and served in less than a minute. I was beaming with pride for trying something new, the elusive and tricky BEAN no less! The kids however, gave both the beans AND me the stink eye. Problem: A heaping smear of brown mash in a tortilla is not necessarily the best way to introduce beans to your children. Tortilla soup is the second soup I made for my family during a season that I affectionately call the “you are going to learn to like beans if it’s the last thing I do” phase. It was hard to follow up the hearty minestrone, for two reasons. You can sense the pressure I was under. Mentioning “new soup” with “beans” in the same sentence raised eyebrows and red flags. The troops were on to me. My plan of attack had to be spot on! This tortilla soup recipe is a combination of several recipes found during the reconnaissance mission. Lots of vegetables came from one, lots of beans (and no meat) from another and lots of spice from another still. This recipe is fantastic all by itself, can easily be tailored to what you have on hand and can turn into a meal worthy of company with just a few extras. Update since I first started making Tortilla Soup! Beans are now a family favorite and I’ve mastered making them on the stovetop, in the slow cooker, and Instant Pot! Dry beans are much cheaper than canned so I keep my pantry stocked. A well stocked pantry can help you cut down on costs when you stock it with items at their rock bottom prices. I even “hide” beans in black bean brownies, chocolate chip cookie dough hummus, and smoothies and my kids always ask for more! 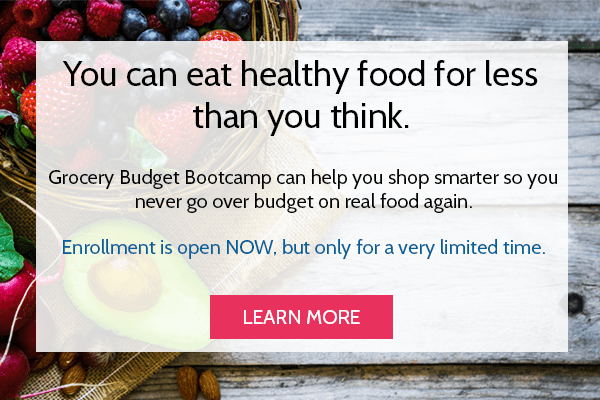 If you are just starting out on your real food journey and beans are not high on your favorites list, that is OK! Baby steps are key. 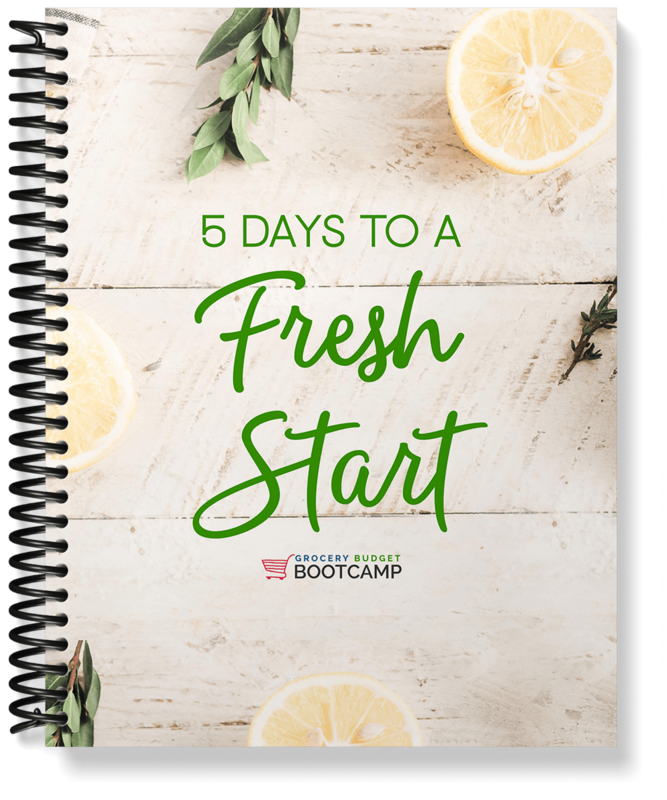 Go through my FREE mini course 5 Days to a Fresh Start to get moving on your journey. In a large pot, sauté garlic, onion, carrots and celery with olive oil and butter until onions become translucent. Add remaining ingredients and simmer for at least 30 minutes. A longer simmer will create a more flavorful soup. Makes 5-6 quarts. * seasoning measurements are minimums; add more if desired. 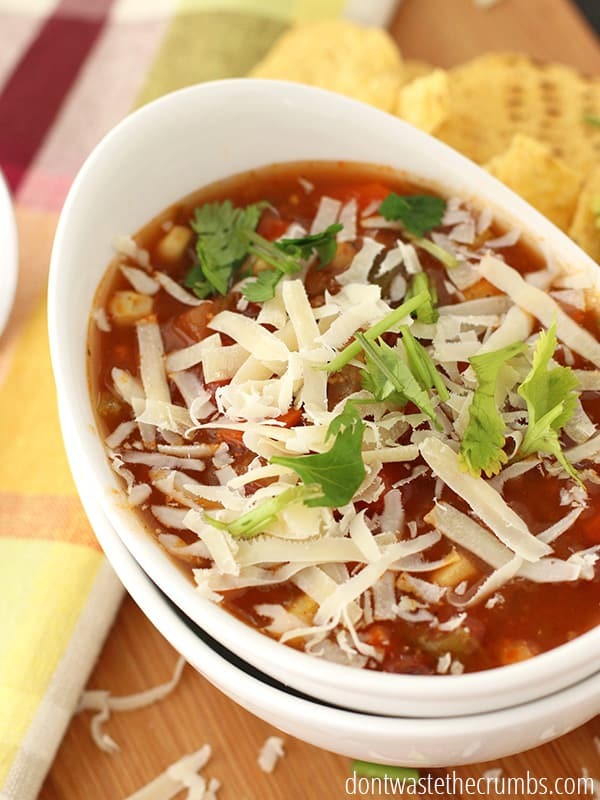 This tortilla soup adapts well to a slow cooker. Simply combine all the ingredients and turn the heat to medium-low and let it cook all day. How do you like your tortilla soup? Do you have a favorite recipe? Funny, I just discovered the Progresso brand Chicken Tortilla soup. I have a feeling your recipe is MUCH better than that. I don’t mind beans mixed in dishes but I don’t care for them as a stand alone dish with the exception of dips such as hummus. Great job. This looks delicious. Can’t wait to try it. I would love for you to come over to my blog hop and share this and other posts there! Hi Tiffany! 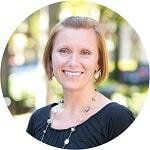 Really enjoying your site! We are newer to the real food journey as well and it’s nice to read from the perspective of someone that is still learning too. :). I’m getting ready to toss all the ingredients for this soup into the crockpot for dinner tonight and had a question. We have all but the chili verde salsa…any suggestions on a substitution? I hadn’t considered making my own salsa verde! Looking forward to spring farmers markets already!! 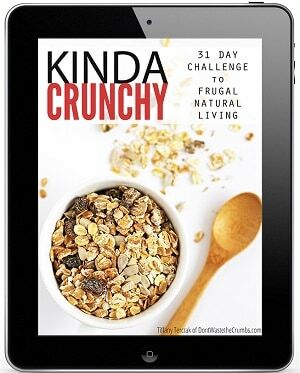 I am already subscribed to the newsletter and like the crumbs Facebook page!I also have already liked “Plan to Eat” on FB. Great Elizabeth! Don’t forget to enter this into the Rafflecopter widget to get credit towards the giveaway! Mmmmmmmm this looks delicious! We love beans. I’ll have to try this! I hope you’ll consider posting this and/or other posts to the Saturday Round Up! Can I substitute chicken broth for the bone broth? Will it taste the same? I’m so glad you liked it Z! This is one of my favorite too, and I’ve been known to double the veggies from time to time. 😉 It’s also great for using up the last bit of any salsa… or pico de gallo… or anything remotely Tex-Mex related, lol. Love the idea of the toppings too!! Quick and easy is always a winner. 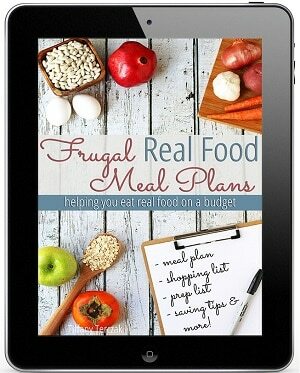 I have included your recipe in my March Real Food Meal Plan. Thanks for sharing! 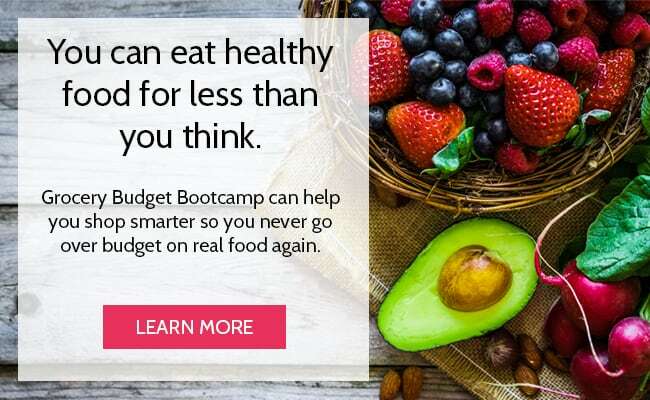 Thanks for including it in your meal plan Melissa!! I made this last night and it was so tasty. I had it for lunch today, of course and it was soooo good! I didn’t have celery so I added diced zucchini towards the end of cooking and it worked perfectly! Oh and I used Hatch Valley Salsa from Trader Joes (recommended by Jessica at Good Cheap Eats) and loved it! I’ve never bought (used) salsa verde before. I’m sold. Thanks for a winner! That’s awesome news Debbie – so glad you enjoyed it!! Tiffany–This recipe looks delicious, but as I was reading through I didn’t see tortillas in it. So, tortilla soup is not made with tortillas? Who knew? I was looking forward to trying to make your recipe for tortillas…to go into the soup! I’ll look for another reason to make them. 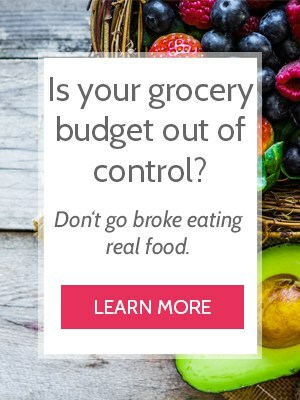 I get so much helpful information (and great recipes) from your site. Thanks so much for your time and efforts! Thanks so much for the compliment Wendy! 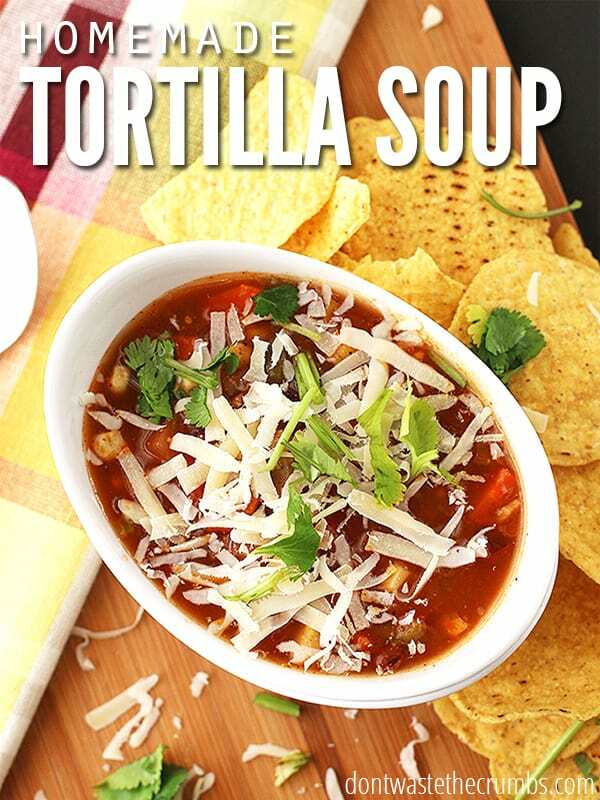 Growing up, tortilla soup was made with tortilla chips served on the side, which I believe is in the recipe, right? I’ve had it with actual tortillas IN the soup, but I didn’t like how they would get soggy. Then it felt like a dumpling soup. 🙂 Enjoy! I made this tonight, and it was another big winner in our home! So delicious! I used homemade chicken broth. Our family is loving all your recipes that I have tried so far. This is one of our favorite soups too Crystal. I’m glad your family enjoyed it! !